A judge has ruled that cameras will be banned from next week’s hearing when James Holmes, the suspect in the Colorado cinema shooting, is to be formally charged. 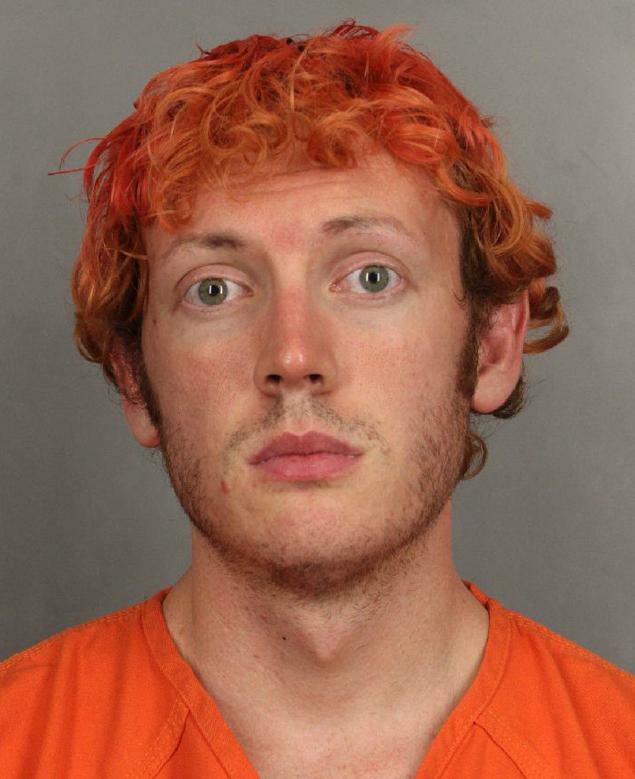 James Holmes, 24, is accused of opening fire at a midnight showing of the new Batman movie, The Dark Knight Rises, last Friday, killing 12 and wounding 58. Judge William Sylvester has denied a request by Denver-area media for expanded coverage on 30 July. The suspect’s lawyers had objected to the media’s request. His first court appearance on Monday was filmed, despite the defence team’s objections. He appeared dazed as he sat in court in a burgundy jail suit with dyed orange hair, prompting media speculation about his mental state. According to a report on ABC News, the suspect has been forced to wear a face guard because he kept spitting at prison officers. Judge Sylvester’s order on Tuesday follows calls from some victims’ family members to avoid using the suspect’s name and his photos. “I don’t want the media to be saturated with the shooter’s name,” said Jordan Ghawi, whose 24-year-old sister Jessica was killed in the shooting. Police were not allowing residents of James Holmes’ apartment building to return on Tuesday, as investigators continued to work there. Officials reportedly found 30 grenades and several gallons of gasoline inside the apartment, rigged into a booby-trap. Twenty of the wounded remained in hospital on Tuesday, including six in critical condition. Batman star Christian Bale visited victims at the Medical Center of Aurora in the afternoon, the hospital’s president confirmed. “It was good for the patients,” Bill Voloch told the Denver Post. Bill Voloch said that the actor had asked to visit, but requested that the media not be notified. A Facebook photo of Bale at the hospital was posted online. The actor also met paramedics, doctors and police officers involved in treating people in the aftermath, as well as visited a makeshift memorial to the dead. Meanwhile, a heavily pregnant 21-year-old woman who escaped the cinema shootings gave birth to a baby boy on Tuesday morning. Katie Medley’s husband Caleb, a 23-year-old aspiring comedian, was shot in the head and remains in a critical condition. A small group of Democratic lawmakers in Washington renewed calls on Tuesday to ban high-capacity gun magazines. But with November’s elections looming, congressional leaders and President Barack Obama said there would be no movement on gun control in the near future. Senator Robert Menendez, among the few calling for tougher laws, conceded calls for legislation were unlikely to succeed, but said it was important to start a debate. “I hope that this does spark a national conversation about where we go in terms of reasonable gun control measures,” Senator Robert Menendez said.